Astros designated hitter Carlos Beltran has been raking at the Word Baseball Classic, and he’s also gotten a head start on his Scott Steiner Halloween costume. 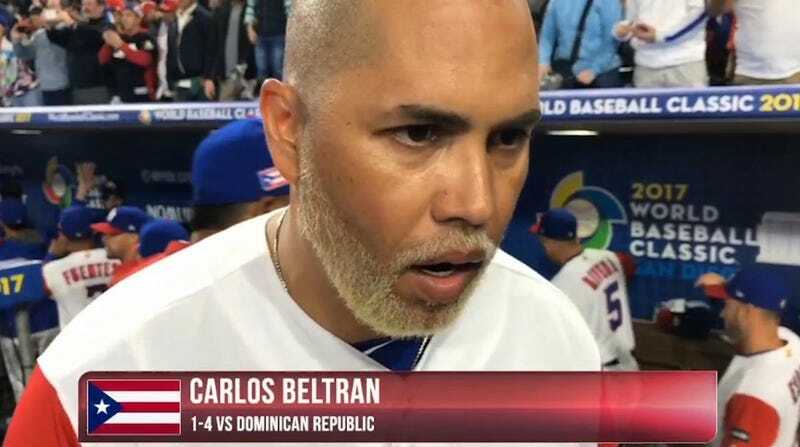 Normally, we’d make fun of a guy for sporting a blonde beard, but Beltran is 39 and has never shied away from making bold personal grooming choices. We say let him live, because you can do what you want when you’re old and popping.